I always enjoy visiting the Elmley RSPB reserve on the Isle of Sheppey. It's one of those places that has something to offer all year round. I left the house around 5.30am last Saturday and arrived to a fantastic sunrise. It was a shame however that I could not gain access to the reserve as, owing to some overnight thefts, it does not now open until 7am. It did give me a chance to check out the gun club area, where I spent a very pleasant time talking to Brian, who is researching short eared owls for a book he is writing. Once the gates were open I worked my way up the track, where lapwing and redshank were abundant. I was hoping to photograph one of my favourite birds - yellow wagtail - but the single male I located remained too distant for me to get any good photographs. I spotted a drake shoveler swimming up one of the channels, so I positioned myself ahead of it and waited for it to come into range. I was pleased to capture an image of it in its natural environment and chose to 'letterbox' it for more impact. 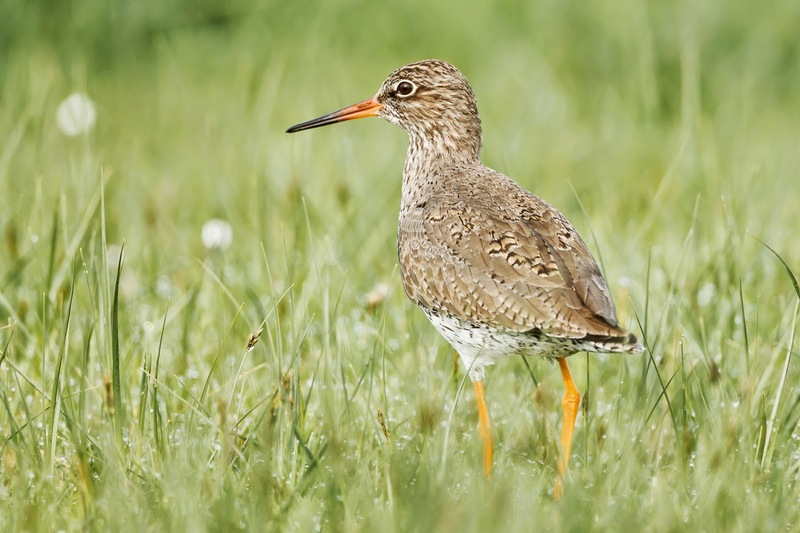 My favourite shot of the day came from an encounter I had with a redshank just as I was leaving the reserve. It posed for just a second before scuttling off; enough time for me to capture the image below. It looked good on the camera's rear LCD screen and I was pleased that it looked just as good when I opened it in Lightroom. It was one of those shots that needed virtually no post-processing and all the more pleasing for that. I plan to visit again over the Easter break where I hope that more yellow wagtails may have made their way over from Europe.